On Sept. 30, Visualization celebrities Martin Wattenberg and Fernanda Viegas from Google’s Big Picture Group gave us the honor to inaugurate our newly founded Northeastern Visualization Consortium, a collaborative effort funded by the colleges CAMD, CCIS and the University Libraries. 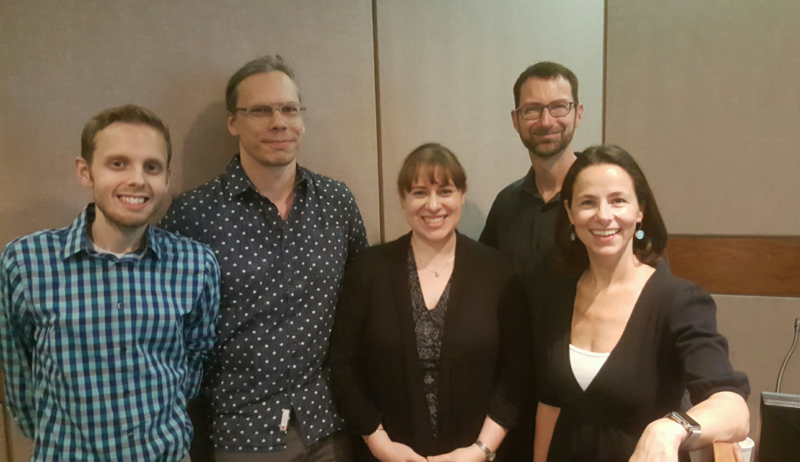 The consortium is co-directed by Michelle Borkin from CCIS and Dietmar Offenhuber from CAMD. The Northeastern University Visualization Consortium (NUVis) is a new interdisciplinary cross-university initiative to support the university’s research efforts in visualization and to connect faculty, researchers, and students across campus to foster a visualization community. Northeastern University’s interdisciplinary focus and structure is an ideal environment for such an interdisciplinary field of study, and the goal of NUVis, funded through a collaboration between the College of Arts, Media and Design and the College of Computer and Information Science, is to continue to foster and grow this important area of research. NUVis sponsors talks and symposia including a bi-weekly seminar, connects faculty and students through its online portal, provides resources to support visualization related research at the university through avenues including workshops and library sponsored open office hours, and hosts and organizes community building events including hackathons and student research poster exhibitions.